Our 10 best beginner board games! Class favorites in an easy-order, easy savings pack! Specifically targeted to kids and beginner board gamers. Games are suitable for kids ages 4 to 8. Our 10 best beginner board games an easy-order, easy savings pack! 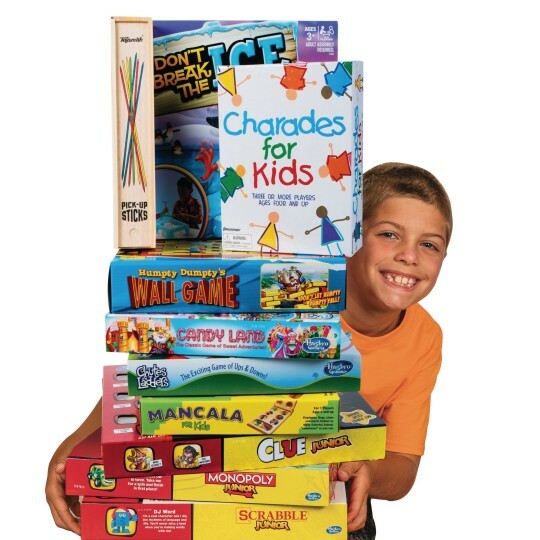 This class favorites are specifically targeted to kids and beginner board gamers. Includes one each of Candy Land, Charades for Kids, Chutes and Ladders, Pick-Up Sticks, Don't Break the Ice, Clue Junior, Mancala Jr., Scrabble Jr, Humpty Dumpty's Wall, and Monopoly Junior! Games are suitable for kids ages 4 to 8. 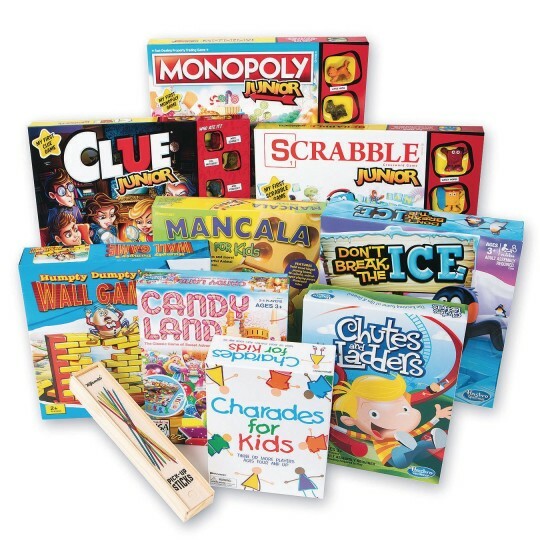 This pack contains a good variety of educational games. The children enjoy the brightly coloured pieces and are eager to play the games. I use the products at my centers.There is a varity of games.